"We have to stop demonizing people and realize the biggest terror threat in this country is white men," CNN's Don Lemon said Monday night. “I keep trying to point out to people and not to demonize any one group or any one ethnicity. 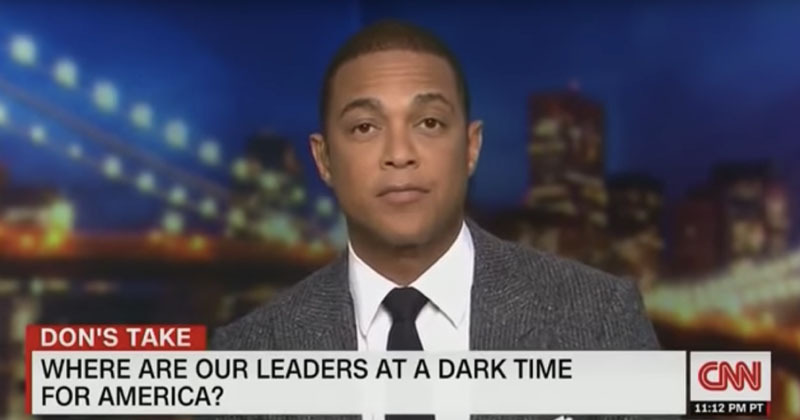 But we keep thinking that the biggest terror threat is something else, someone people who are marching, you know, towards the border, like it’s imminent,” Lemon told host Chris Cuomo. "We have to stop demonizing people and realize the biggest terror threat in this country is white men." Does that mean he doesn't even consider white men people?